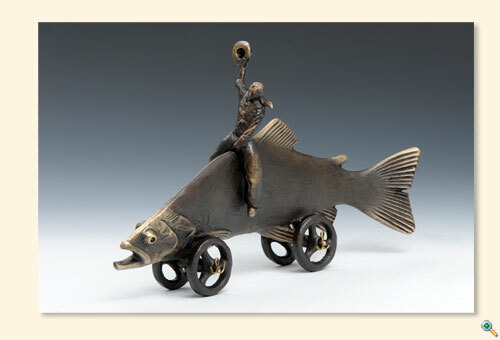 For over three decades, Scott Nelles (Nell-ess) has been producing objects of beauty in cast bronze. From toys to candlesticks, his work displays a childlike playfulness, elegant design and superb control of his medium. 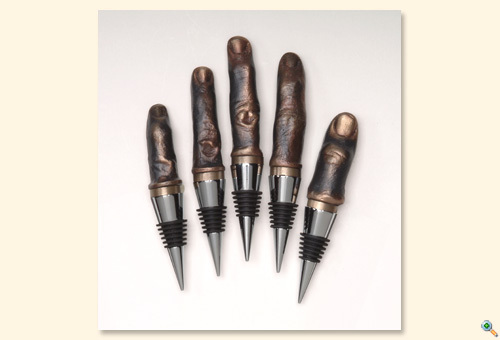 In his foundry and studio located in northern Michigan, Nelles is inspired by nature and industry. He uses the timeless methods of sand-casting and hand-finishing to create objects of beauty, strength and whimsy. The works represented at Mullaly’s 128 Studio & Gallery represent the latest in a line of hundreds of objects Nelles has created over the years. His work has been exhibited worldwide and purchased by individual collectors as well as by trade.